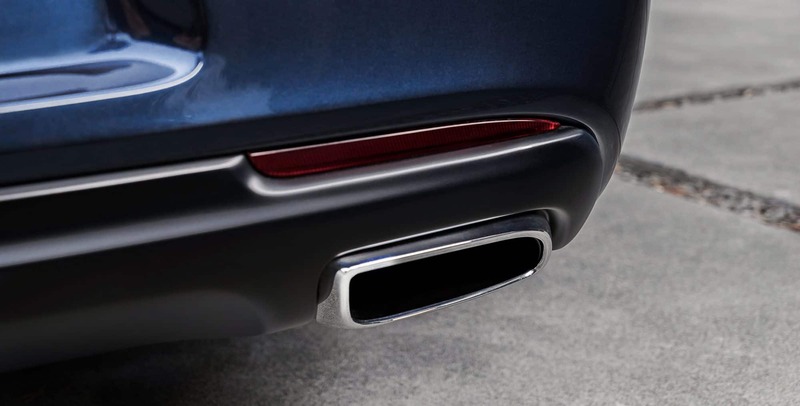 A new entry-level trim has been added in 2018 to the Chrysler 300. 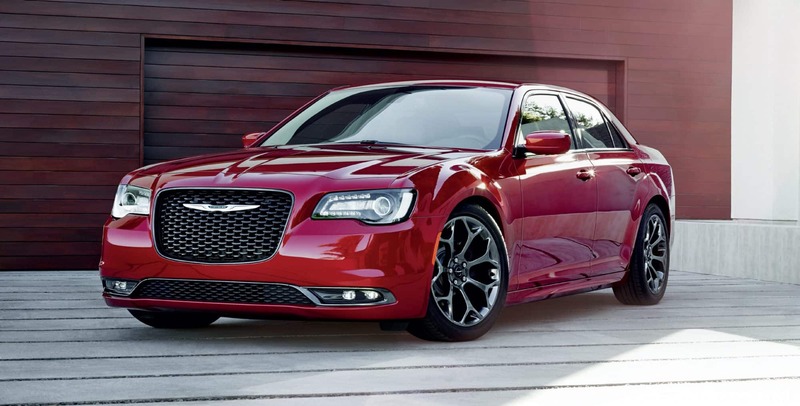 In addition to this new trim, the Chrysler 300 has also added some new options for many of the models. Some of these new options would include a Beats Audio package, an Appearance package, or even an Alloy package. 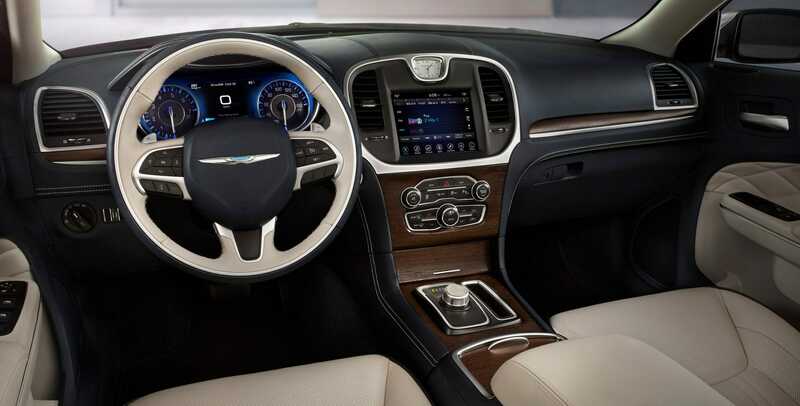 The 300C trim and the Limited trim are also able to add-on extra standalone features like a dual-pane sunroof, navigation, or even a brand-new premium audio system. 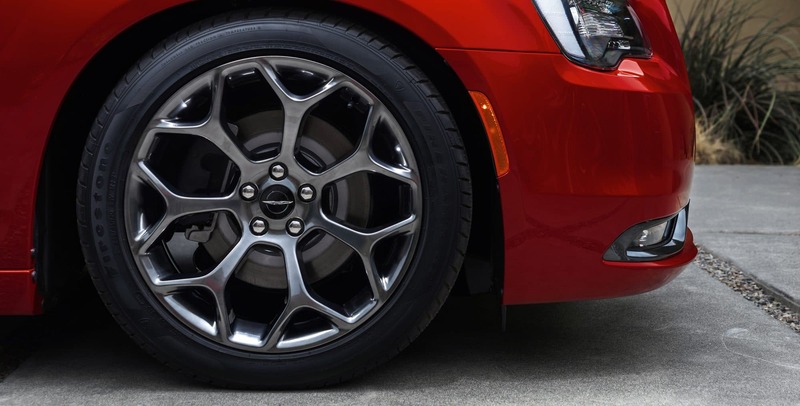 If you are interested in learning more about what 2018 has to offer for the Chrysler 300, then this review is for you. How powerful is the standard engine? The standard engine at all trim levels except for one is a 292 horsepower 3.6-liter Pentastar V6. The one trim level with a different standard engine is the 300C model with 5.7-liter Hemi V8. This engine is also an option for the 300S trim level. This V8 engine is one of the most powerful V8s found in its class. Both engines are paired to an eight-speed automatic transmission with all trims but the 300C coming with all-wheel drive. They also have the ability to change to and from the all-wheel drive into rear-wheel drive for a superb fuel economy boost. What types of safety features are available? 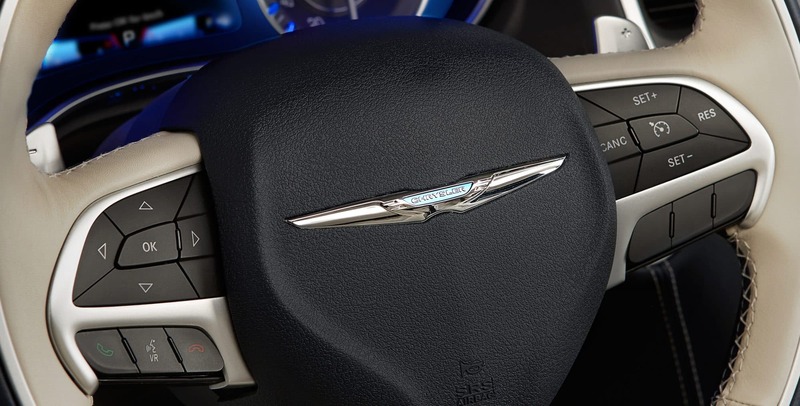 Many safety and security features come standard on the Chrysler 300. 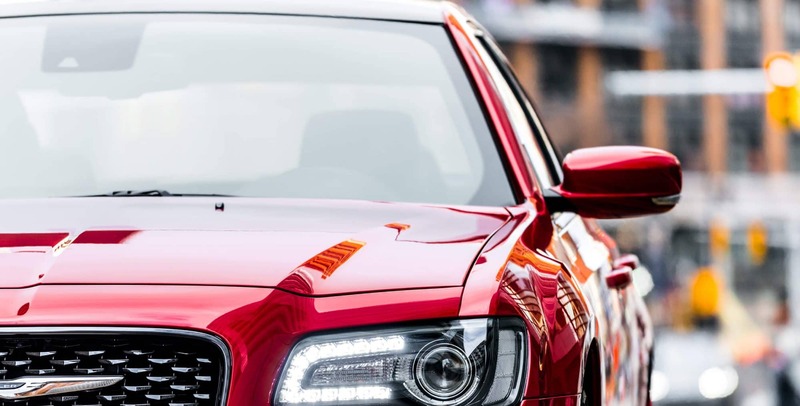 Some of these would include a rearview camera, active front head restraints, front-passenger seat belt alert, electronic stability control, LATCH, a sentry key theft-deterrent system, and a tire-pressure monitoring display. Packages are also available with more safety features like the SafetyTec Plus package which offers rain-sensing windshield wipers, full-speed forward collision warning with active braking, lanesense lane departure warning with lane keep assist, advanced brake assist, auto high-beam headlamp control, and adaptive cruise control with stop. What does the new base trim consist of? 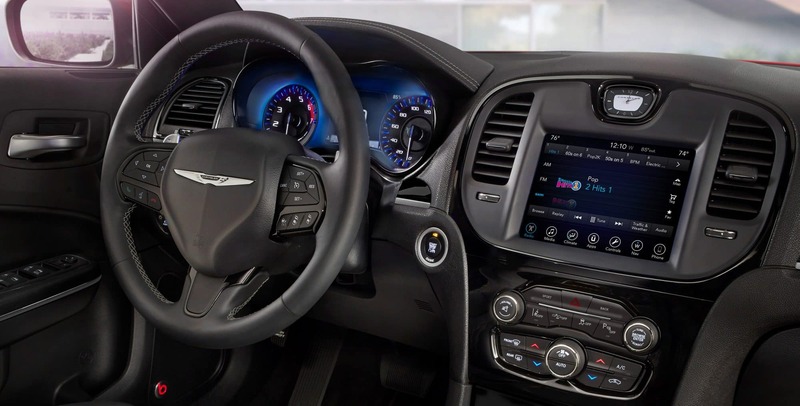 The all-new base trim for the Chrysler 300 is the Touring with standard features like 17-inch wheels, dual-zone automatic climate control, a six-speaker sound system, Bluetooth, an 8.4-inch touchscreen, and heated mirrors. Some of the available packages, even at the entry-level, would be the Chrome Appearance package, the Driver Convenience Group package, and the Sport Appearance package. 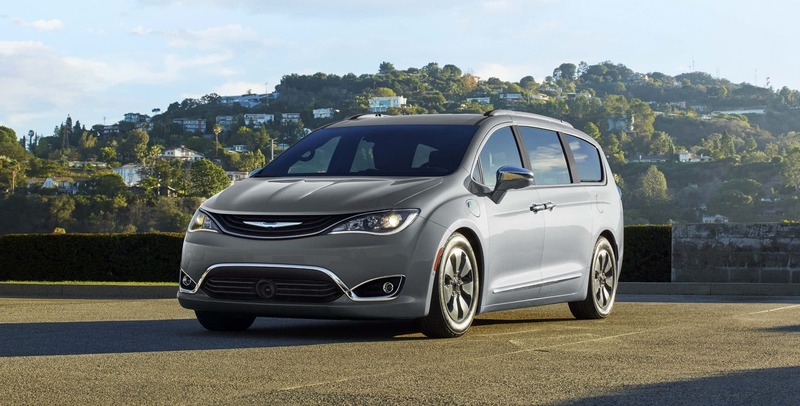 The second trim level is the Touring L trim with heated front seats, a power-adjustable passenger seat, leather upholstery, and 18-inch wheels. This trim has the option to add a Value package or a 300 Premium package. The 300S trim includes a sport-tuned suspension, 20-inch wheels, leather upholstery, heated and power-adjustable front seats, remote start, transmission paddle shifters, and LED foglights. Next is the 300 Limited with heated rear seats, driver-seat memory settings, a power-adjustable and heated steering wheel, an auto-dimming driver side mirror, and heated and ventilated front seats. 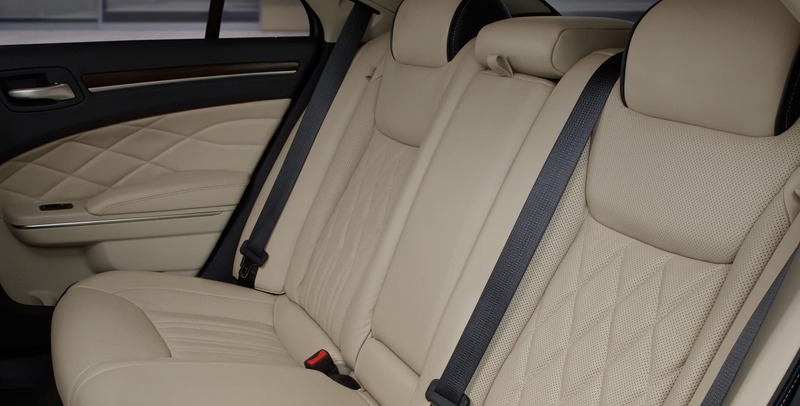 The top trim is the 300C with all the latest trimmings like a touring-tuned suspension, 20-inch wheels, upgraded leather upholstery, heated and cooled front cupholders, adaptive xenon headlights, and an upgraded steering wheel. The 300C has the option to add extra features like a panoramic sunroof, a 19-speaker Harman Kardon sound system, or even a power rear window sunshade. 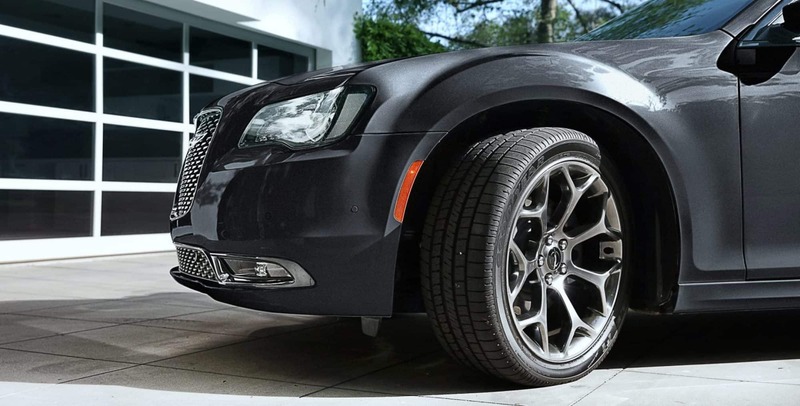 The Chrysler 300 is the perfect sedan for the daily commuter looking to add a little fun to their daily drive. Come see us to set up your test drive today!